Before I embark on my trip to Seoul next week, I will teach you guys how to achieve the winged eyeliner + teardrop liner look. This I have to say is my staple eye makeup when I’m too lazy to just think of anything else to do with my face, but I still want to look as if I spent a lot of time on it. Teardrop liner first of all is basically glitter liner. If you don’t have an Etude House store where you live, don’t feel bad if you can’t get your hands on it because a lot of brands carry glitter liners (NYX, MAC, Urban Decay, Stila, Makeup Forever, etc.). The teardrop liner look is preferred by most Korean celebrities and ulzzangs because it brightens up the eyes and gives that innocent teary doe-eyed look. 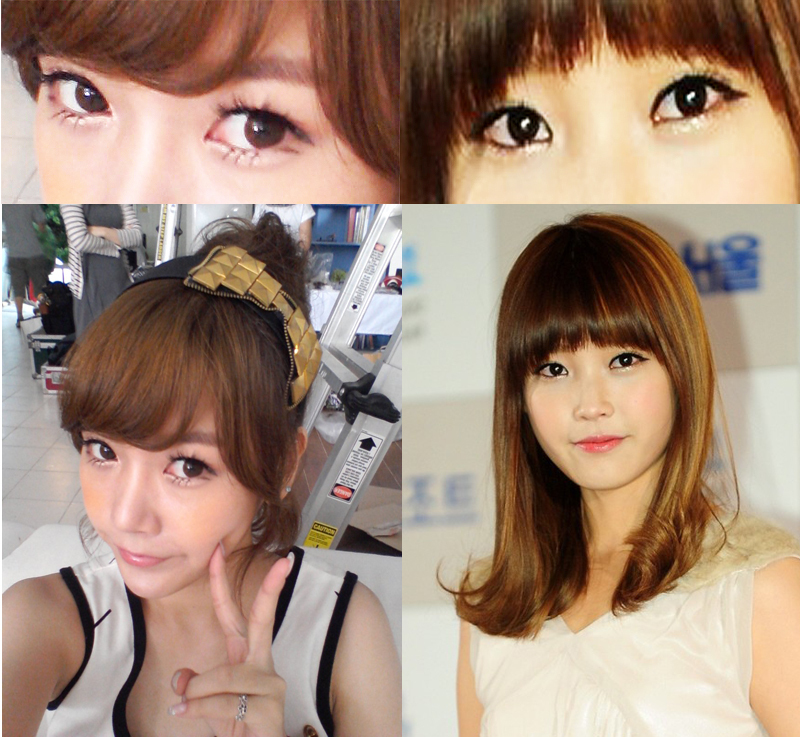 Korean celebrities who are known to rock this look are T-ara, Bom of 2NE1, and IU. 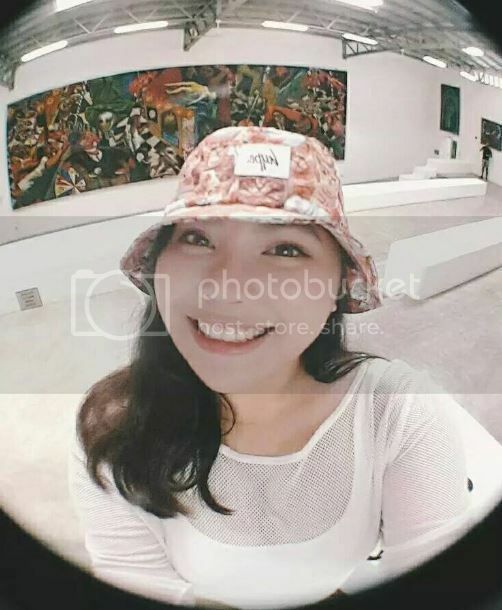 For this tutorial, I have made a step by step photo procedure to help you guys out on creating this look. Click below to read through the steps! 1) Start by applying a good eye primer to your lids. This will prevent your eyeliner from smudging. 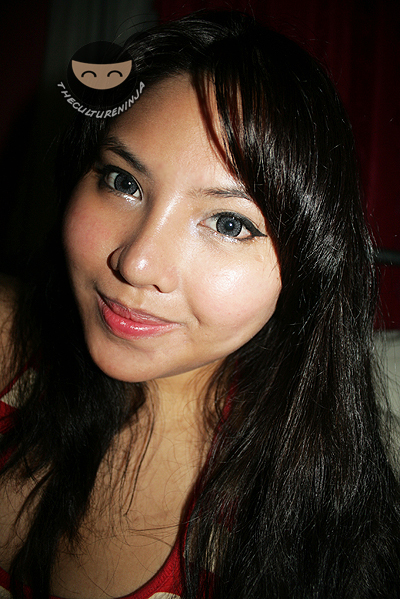 For this I used Etude House’s Proof10 Eye Primer. 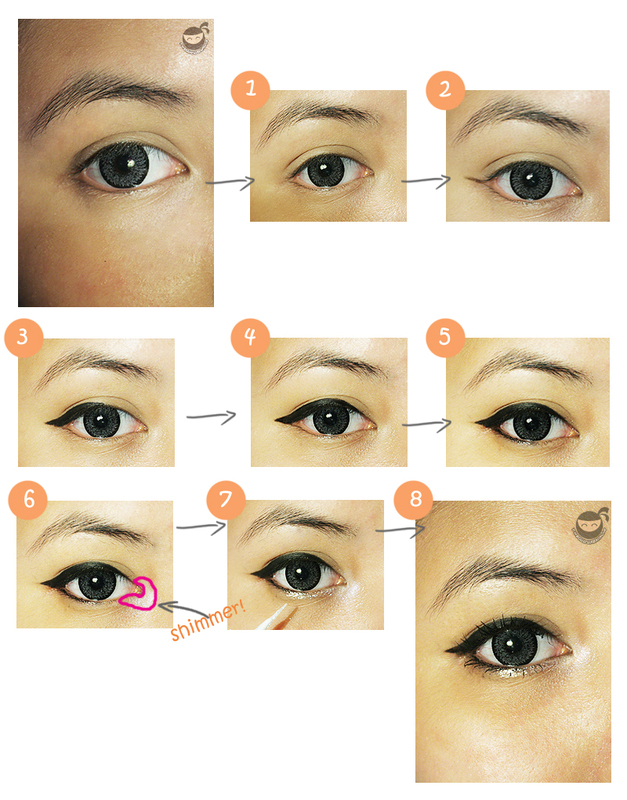 2) Create a guide line for your wing using eyeliner. I prefer gel liner as always because I’m used to working with it and it lasts the longest. To make this line, you have to trace the shape of the lower line of your eye and extend it to make a wing. 3) Thicken the wing going inside the outer half of your upper lash line. 7) Apply the tear drop or glitter liner to the inner half of your lower lash line. I hope you enjoyed this tutorial and let me know if you want me to recreate other looks! « It’s been so long..